Hi, Debby! Welcome to Destination Amish. Can you share a little about yourself and your books? Michelle, thanks for inviting me to your blog! I write inspirational romantic suspense and have published twenty books with Love Inspired. My last project was a Military Investigations series that included nine stand-alone stories. In the last few books, I created an Amish community located near my fictional military post and enjoyed adding the Amish thread to those stories about military heroes. My current trilogy is a straight Amish suspense that features three sisters caught in a human trafficking web located in the North Georgia mountains. Amish Refuge came out in May. Undercover Amish will release in October, and Amish Rescue will be published in April 2018. I just attended the Romance Writers of America National Conference in Disney World, Florida. The entire week was so rewarding with great workshops presented by top names in the publishing industry. It’s always special to reconnect with old friends and to meet new folks who love to write. I had a wonderful week, but by the end of the conference, I was eager to get home and back to my stories. Later this month, I will attend the Christian Fiction Readers’ Retreat in Cincinnati and plan to visit Holmes County and many of the Amish communities in Ohio following the event. This fall, I’m traveling to the Holy Land…something I’ve longed to do for years! My family is from Ohio, and I graduated from the Ohio State University so visiting the Amish communities was something I did often. I’ve also lived near the Amish in Pennsylvania and always enjoyed the Lancaster area. 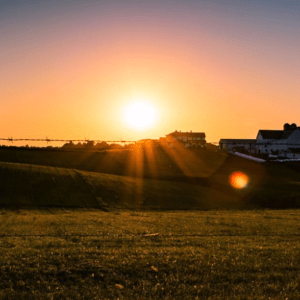 Last year, I traveled to Ethridge, Tennessee, where I visited a number of Amish farms and businesses and continue to correspond with a lovely Amish lady who had invited me into her home. Who is your favorite character that you have written and why? 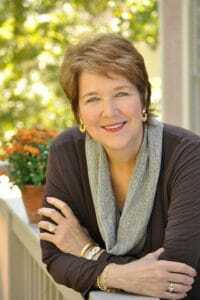 Miriam Miller is the heroine in Amish Refuge. She’s strong and determined and has to fight off a terrible man who’s holding her captive. I love Miriam’s gumption. She needs to find her sister, Sarah, and nothing will stop her…not even a killer who has her in his cross hairs. Amish widower, Abram Zook, provides refuge for Miriam, and all too quickly, she realizes not only her life but also her heart might be in danger. I do household chores and errands in the morning and write in the afternoon. Usually, I stop at 5 PM to take a walk. After dinner, I’m often back at my computer. I’ve always loved reading and writing and penned my first—very short novel—in third grade. I also loved science and medicine and pursued a degree in medical technology and worked in the clinical laboratory after graduation. Following the birth of my first child, I turned in my test tubes and became a stay-at-home mom. I started writing in earnest when my children were older. My debut novel was released in 2007, and now, ten years later, I’m still so thankful that my writing dream came true. Hmmm? Perhaps that I enjoy the revision process more than writing the first draft. In my opinion, the story comes alive as I rework the pages. I’ll continue writing Amish suspense. My next project will feature an Amish woman who had a small role in the three earlier books. Her name is Rosie Glick and she’s insisting that I tell her story. 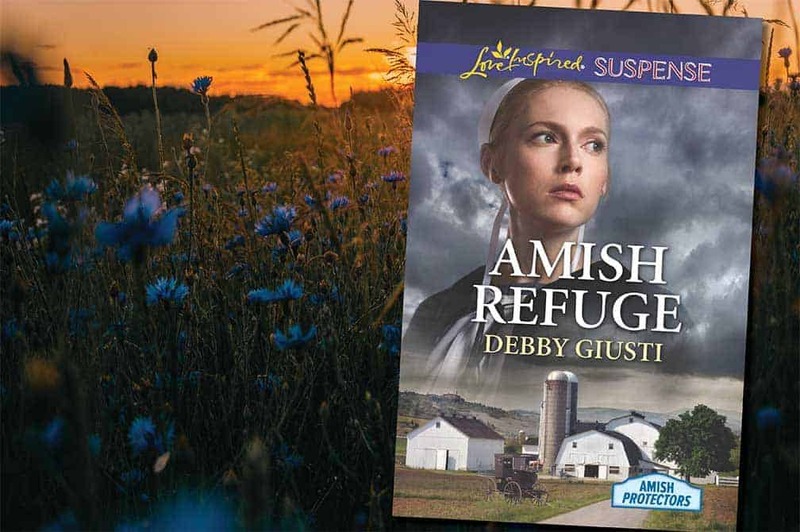 Debby is giving one lucky reader the chance to win a copy of Amish Refuge! To enter, leave a comment below. The winner will be selected at random and announced on Saturday, August 12th. Good luck, Susan. Thanks for your interest in winning Amish Refuge! I have enjoyed reading Debby’s other Amish Love Inspired Suspense books and would love to win this one. Thanks for the chance. Thanks for your kind words about my stories, Carol! Hug! You must like Amish stories, Debi. I do too! Thanks so much, Marcia! I hope you enjoy Amish Refuge. I’ve enjoyed writing the Amish Protectors trilogy. I got into reading the Amish genre in it’s infancy when basically just Beverly Lewis wrote it. I have tried many authors as the genre has grown, so better than others of course. I am now just starting out reading suspense and I have enjoyed reading a few suspense Amish books. I think it’s a great idea mixing the two genres. I would love to read your Amish Refuge, Debby. Thank you for the giveaway opportunity. I like Beverly Lewis’ stories, as well, Deanne. For me, mixing the Amish characters into the suspense stories is an interesting and enjoyable challenge. I hope you enjoy the mix. Thank you so much, Mary Lawson. I’m always touched by the kind words of my wonderful readers. Hugs! I’m going to plan a trip to Ethridge TN…. Love reading about the Amish. I hope you enjoy Ethridge. You can take a horse and wagon tour if you stop by the general store that’s on the main road through town. You can’t miss it. Thanks for a great interview! Thanks for this interview. You’re most welcome, Connie. I’m thrilled to be here. Michelle was so sweet to ask me to blog and everyone has been so welcoming. HI Loretta! So glad we could connect on Destination Amish! Hi Myrtle! I hope you enjoy Amish Refuge! So exciting to meet a new author. This sounds like a very interesting read. Would be thrilled to win a copy of this book. Thank you ? MaryEllen, thanks for your interest in Amish Refuge! Hi Shelia! I was thrilled when Amish Refuge made the Publishers Weekly Bestsellers List! I hope you enjoy the story. Hey Debby! You’re a new to me author! I love Amish suspense, Vannetta Chapman is my favorite. I’d definitely enjoy winning one of yours! Thanks for sharing! Vannetta is a wonderful author. She’s working with Love Inspired now, which is my publisher. I hope you’ll check out the LI lineup. Six sweet romances and six suspense stories are published by Love Inspired each month. You can find them in bookstores as well as Walmart and KMart. I like what you said about Rosie Gluck insisting that you tell her story. I love Christian suspense and look forward to reading this book. I’m eager to start Rosie’s story, Jan, but I have to finish Sarah’s story first. I’ll send the finished manuscript to my editor on WED and then focus on Rosie Glick. Her story will probably release later in 2018. I really enjoy reading Amish fiction. Debby is a new author to me and I’m looking forward to reading her book. Amish fiction is my favorite genre to read. I love the suspense and military aspects of the book as well. Miriam sounds like a tough cookie for sure. Would love to read this book! Maryann, I smiling at your comment. It’s doubtful that Miriam would consider herself a tough cookie, but she’s determined to find her sister. Of course, she has to worry about “Serpent” whose trying to killer her. Thank goodness for Abram Zook. He’s her hero, for sure! Debbie, I haven’t read your books. Would love to win! Thanks for your interest in Amish Refuge! Would love to read a new author plus a suspense and the topper being Amish oh my this is great! I love the mix of suspense with the Amish. Glad you do too! Thanks for the chance a new author+a suspense + topping of it being Amish oh my can’t get any better than that but that’s just my opinion! Jean, I like your opinion. I agree! Amish suspense is exciting! Thank you, Brenda Sterne! Your support means so much to me! Amish Refuge reminds me of the refuge we have in Jesus. Hope to win a copy of this book. The Lord is always our refuge. You’re so right, Vivian! Would love to win Amish Refuge but if not will definitely be getting it and reading it. I love reading Amish genre – I live near the Amish in Marion Kentucky and have helped the Amish in Galatia Illinois in transporting their vegetables and other things. Marla, I hope you enjoy this story. I’ll be driving through Kentucky soon. I need to check a map to see if I’ll be passing close to Marion. I lived at Fort Knox in my youth. Love Kentucky. Such a beautiful state! Another Debbie! Thanks for your interest in Amish Refuge! Hi Debby! I too am from Ohio and I have visited several Amish communities in Ohio, Pennsylvania and Indiana. My desire is to visit the Amish community in Maine that borders Canada. Headed back to Shipshewana, Indiana camping in 2 weeks. I am rarely without a good Amish book to read, never leave home without! I so look forward to reading Amish Refuge. I would love to win a copy of your book! Sounds like you’re quite a traveler, Teresa! I didn’t know about the Amish community in Maine. How interesting. Have a wonderful time in Shipshewana. I hope to get there in the not too distant future. Happy travels! Wow! this book sounds very different from all the rest! MaryAnn, I hope you’ll enjoy Amish Refuge. My editor thought it was a unique story that would interest a wide variety of readers. Thanks for a chance to win Amish Refuge. Kristina, so glad you stopped by Destination Amish. Love Michelle’s blog! Wow!! Another great author to give a try. I have read numerous books by Love Inspired Authors and have enjoyed each one. Looking forward to entering this contest. Hi Andrea. I’m glad you enjoy Love Inspired Books. I’m thrilled to write for them. The editors are wonderful and really understand story. Hope you enjoy AMISH REFUGE. I like Amish books too! Thanks for your interest in AMISH REFUGE! A new to me author. Looking forward to reading this book. Thank you for stopping by the blog and leaving a comment. You’re in the drawing! Can’t wait to Read this book, The cover catches your Attention right off… Love reading Amish Fiction. I have Amish Families living on my road.. and quite a few here in this county..
HI Jean, what state are you in? How nice to have Amish neighbors. I hope you enjoy Amish Refuge! I love these Amish mystery series and love that there are more of them popping up. Thank you for the chance to win Debby’s book, I really enjoy her books, I’ve read many! Hi Wendy, so good to see you here! Thanks for your kind words about my stories. Like you, I love the Amish mystery and suspense series! They’re fun to read…and fun to write. I have read Debbie’s other Amish mysteries and would love to win and read this one. Thanks for the opportunity! Love your books Debbie. You’re so kind to mention my other stories! Thank you so much. I hope you enjoy Amish Refuge. I have read the Military series. I look forward to reading the Amish as well. Thanks for visiting Destination Amish and thanks especially for mentioning my previous books. I greatly appreciate your encouragement and support! Hugs and love! Hi Tamera! We think alike! Amish + Suspense = Love It! I love reading Amish fiction. It is very interesting to read about their beliefs and how they help each other out. The Amish are such good people. God bless them! Thanks for stopping by the blog and leaving a comment. You’re in the drawing. Love your cover and would love to read this Amish suspense series. Thanks for your giveaway . Would love to win a copy of this book. Hi Shirley, you’re in the drawing! Best of luck to you! this was awesome!!! sounds like a great book !!! Thanks, Wilma. I hope you’ll give Amish Refuge a try! Hi Debby! It’s great to see you here. I always love reading your books and I’m reading Amish Refuge now. It’s another wonderful story. Thank you so much, Jackie. You’re support and encouragement mean so much to me! Hugs and love! I would love to win Amish Refuge. Sorry to say, Debby, but I have never read any of your books. Amish books are my very favorite and I really enjoy the Amish Mystery ones as well. I actually have an Amish Collection book shelf in my home. Thanks for the chance to win this book! Judith, I hope you pick up one of my Amish stories. Amish Refuge is available now and starts my new suspense trilogy. I love reading Amish stories. Thanks for the giveaway. I would love to read this one. Hi Katie, I hope you enjoy Amish Refuge. It was so fun to write! I must confess if I am fortunate enough to win your book it will be my first of your books to read. I’m thankful to discover you. HI Karen, I’m so glad Destination Amish brought us together. Wishing you abundant blessings! The winner of Amish Refuge is Teresa Corbin. Congratulations! Thanks for entering, everyone!